Figure 1. 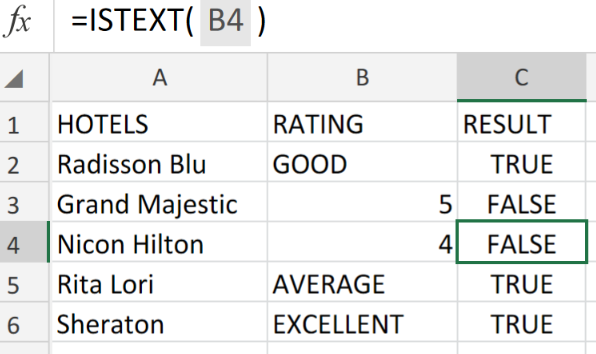 Excel Data Validation Istext Function. 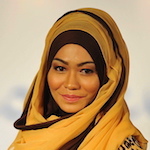 This formula is useful for restricting users from populating cells with numbers, dates, etc. 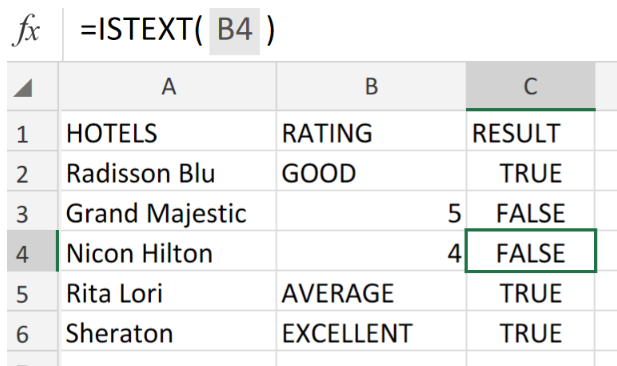 How to use the Excel Data Validation Istext Function. The ISTEXT formula will check if the value entered is a text string. 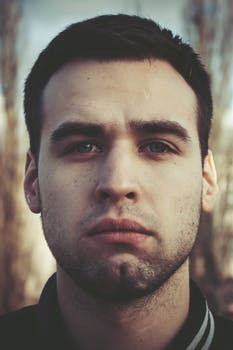 If the condition is met, it return a TRUE result, and if the condition is not met, a FALSE result. 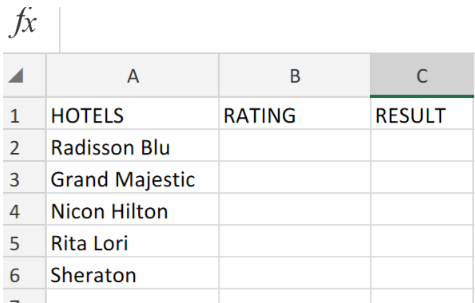 Arrange the data available for validation within labeled columns of our worksheet. Figure 2. 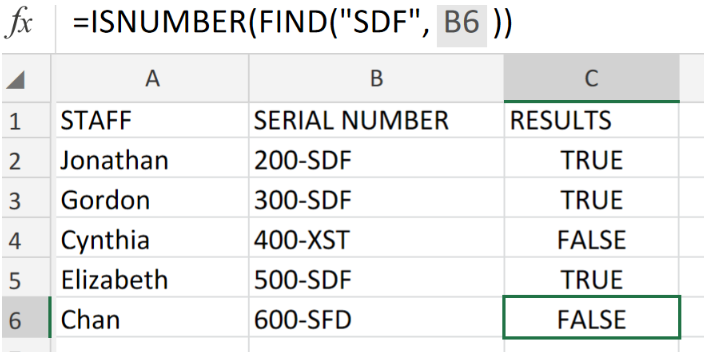 Excel Data Validation Istext Function. Our purpose here is to permit ratings to be entered in text format only. Be sure to provide empty cells for Excel to generate the results. Figure 3. 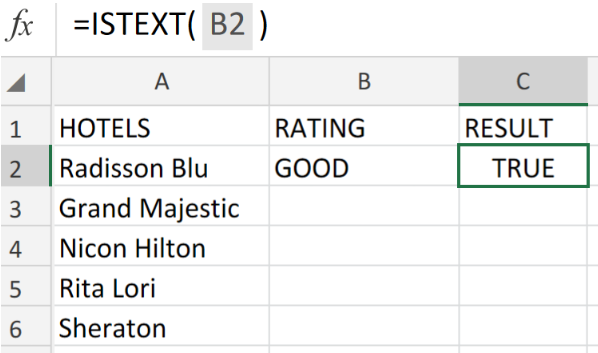 Excel Data Validation Istext Function. 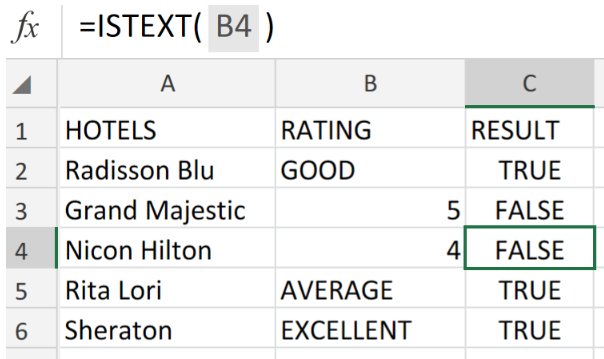 Since the data entry in cell B2 of our worksheet example, the Excel ISTEXT formula returned a TRUE result in cell C2. Copy a modified version of the ISTEXT formula in cell C2, down the other cells in the RESULT column for the other results to be generated. Figure 4. Excel Data Validation Istext Function. This means that, all inputted text will pass validation, however, formulas and numbers will not pass validation.